Are you looking for Yellow Jacket Removal in NJ? ALCO Animal & Pest Control offers prompt, professional and safe Yellow Jacket Removal in NJ since 1995 for many satisfied clients. Whether it is residential or commercial Yellow Jacket Removal , ALCO Animal & Pest Control will solve your Yellow Jacket problem in no time. Our trained and experienced Yellow Jacket Removal technicians are qualified to handle a variety of Yellow Jacket situations. ALCO Animal & Pest Control will keep you safe and keep you in line with state and local animal laws. ALCO Animal & Pest Control uses environmentally friendly Yellow Jacket Removal products as well as humane Yellow Jacket Removal methods to keep you and your children safe while performing the Yellow Jacket Removal job. Our knowledgeable pest technician will answer any questions you may have and explain to you every detail you need or want to know about the job. We are always friendly and we are here to help you get rid of Yellow Jackets. 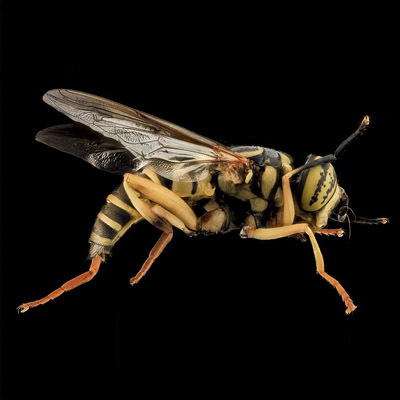 Yellow jacket is the common name for a North American wasp and of course they are generally yellow and black but some are black and white. Because of their colors, they are mistakenly called bees. Yellow jackets and Bees are commonly mistaken for one another. Both insects are yellow with black markings, but yellow jackets are a brighter, shinier yellow. Yellow Jackets tend to nest in trees, shrubs, under decks or high in the eaves. Their nests are very visible and easy to identify. It looks like an upside tear drop-shaped nest constructed from gray paper. On the contrary, when a yellow jacket nests inside a structure (like your home) the nest is not at all visible. You will see them flying in and out of a small gap, crack, or crevice in the exterior of your house. On the other hand, carpenter bees are known for being able to drill a perfect 3/7 inch hole through wood to make their nest. While carpenter bees are strictly considered wood destroying insects, the damage they do is typically limited to surface wood and does not do any structural damage to the house. Left untreated, they can grow to large numbers and eventually completely destroy the wood in which they are nesting and tunneling. In the spring, the Yellow jacket queen collects wood fiber to make her nest. The nest is constructed of paper-like material made from chewed wood fibers mixed with saliva. Some species build the nest in old burrows underground, while others build nests in or around houses. All social wasps are capable of producing a painful sting, but none leave the stinger embedded in the skin. Most stings occur when the colony is disturbed. The objective is for the wasps to protect the nest site. Wasps are very protective of their colony and will attack if someone approaches within a few feet of the nest.